Don’t miss a thing! Subscribing is easy and free. Since January 1st 2017, Side Hustle School provides you with a new story every day. Each episode is less than 10 minutes long, and you can catch the latest episode while you’re getting ready for the day, on your morning commute, or even at the gym! 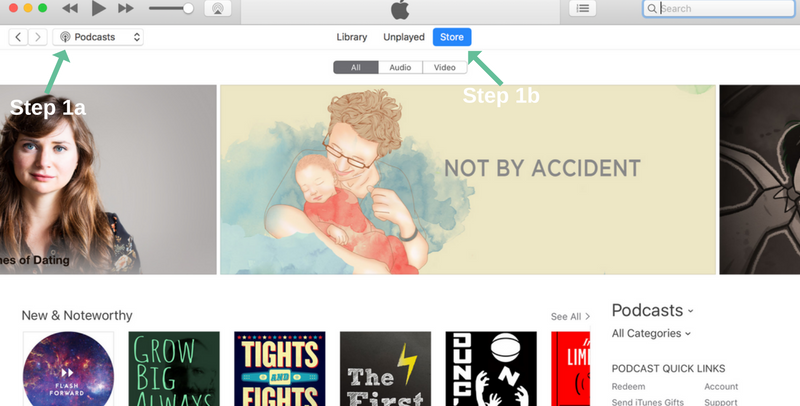 Step 1: From the iTunes link, click the blue “View in iTunes” button. This will launch/open your iTunes application directly to Side Hustle School with Chris Guillebeau. Step 2: Click the “Subscribe” button to subscribe. That’s all there is to it! 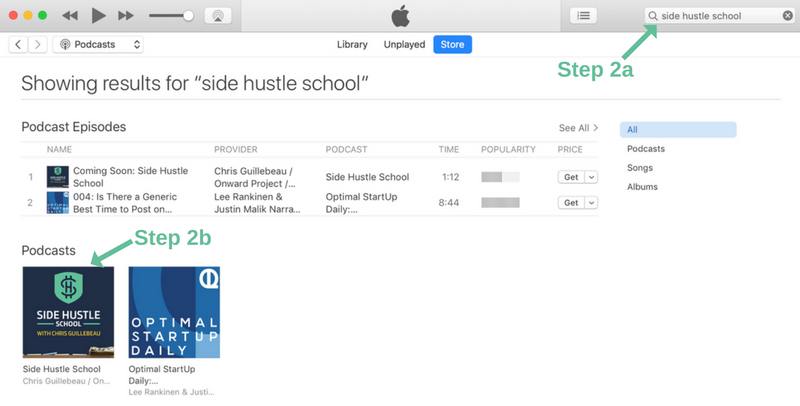 Now you’ll receive each daily Side Hustle School episode as they air directly into your library. 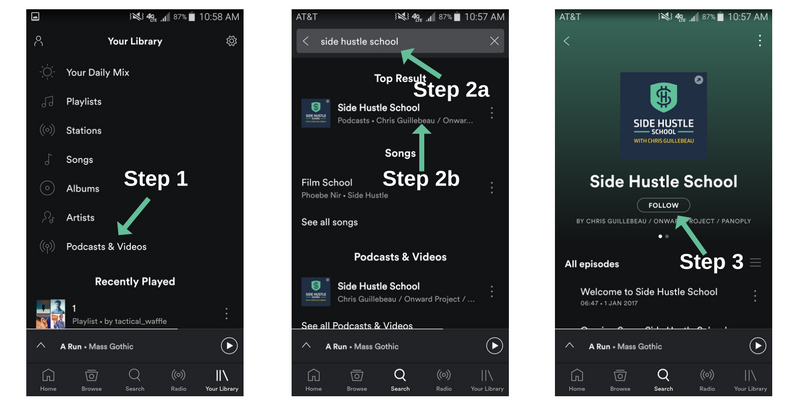 Step 2a: Type “Side Hustle School” in the search bar at the top of your screen and hit enter. Step 2b: Click on the top search result. Step 3: Click “Follow” and that’s it! You’ll be notified each time a new episode has been added. 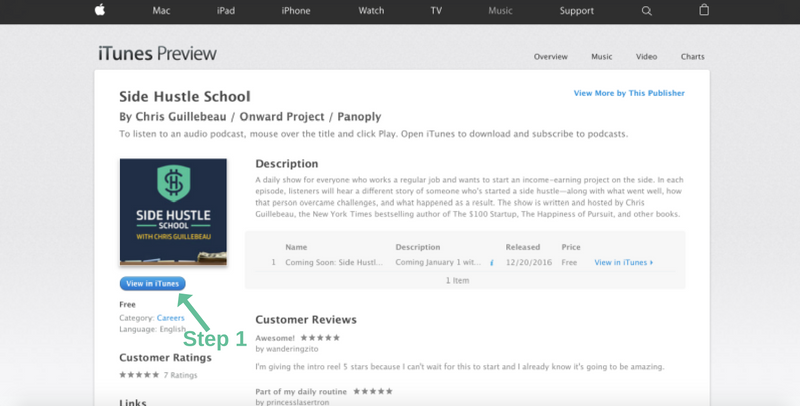 Step 1: With your iTunes program open on your desktop, navigate to the iTunes Store and select Podcasts. 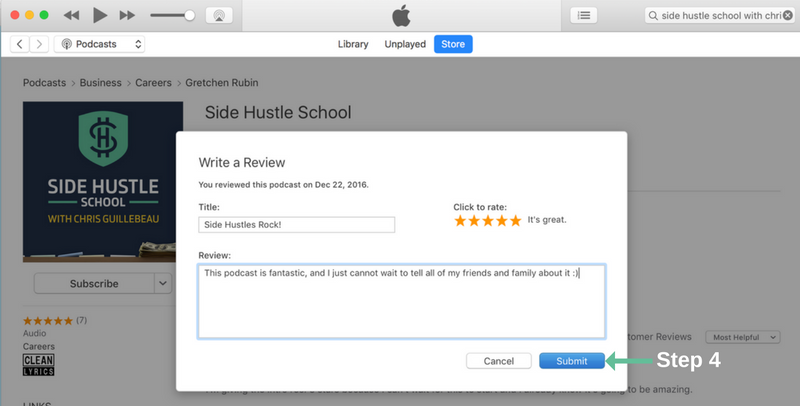 Step 2: Search for “Side Hustle School” in the toolbar, and then click on the cover art to open the full podcast page. Step 4: If you aren’t already logged in with your Apple ID, you’ll be prompted to do so. 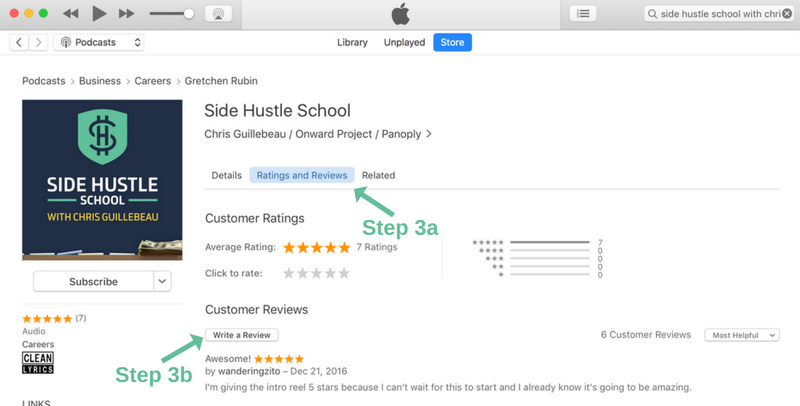 Once logged in, simply write your review and press “Submit”. That’s it! Enjoy the show!